Who did the Russian ambassador meet in D.C.? Welcome to America’s capital city, where everyday encounters may not be what they seem. It is a funny feeling to realize you may have unwittingly come into contact with Russian intelligence—but not, these days, a totally uncommon one in Washington. “There I was, standing in the entrance hall,” recalled Trevor Potter, a prominent election lawyer and former chairman of the Federal Election Commission. This was in December, at a lavish holiday party at the French ambassador’s residence, teeming with D.C. types—diplomats, journalists, consultants, lobbyists, current and former officials. Potter had just entered when he saw the French ambassador, whom he knew, conversing with a man he didn’t know: a stocky, Slavic-looking fellow in a dark suit. “The French ambassador said, ‘Do you know Sergey, the Russian ambassador?’ I said I did not, and we shook hands,” Potter told me recently. At the time, there was nothing particularly notable about the encounter. But now, with Congress and federal investigators probing alleged Russian meddling in last year’s presidential election, it feels a little bit creepy. The ambassador Potter met that night, Sergey Kislyak, is a central figure, alleged to be a high-level Kremlin spy, and his every phone call and handshake with associates of President Trump has come under close examination. Kislyak’s phone calls with Michael Flynn, and Flynn’s apparent misstatements about the contents of those calls, cost the onetime national security adviser his job last month. Kislyak’s undisclosed meetings with Attorney General Jeff Sessions, then a senator, have caused Sessions to recuse himself from the Russia investigation. Kislyak’s contact with Trump—a brief hello at a reception before a speech hosted by a D.C. think tank—has raised further alarm. Suddenly, everyone who’s ever met Kislyak is suspect, and Kislyak himself a subject of fascination. (In recent press reports, he has been described in conflicting terms: Is he a cordial man-about-town or an under-the-radar homebody?) An idle chat has become a “contact,” that sinister term of spycraft. And for those who circulate in Washington politics and policy circles, the whole affair hits close to home—a peeled-back corner of the spy game always being played below the capital’s surface. What seems like networking can turn out to be something else entirely. One former congressional staffer, who worked for a member of the House International Relations Committee, told me that a few years ago he was offered a cash payment equivalent to his annual salary to pass along committee documents related to Taiwan. The staffer, who had a security clearance, turned down the offer and reported the contact to his security officer, who said the guy was “on the radar” of American intelligence. The same staffer said he was once asked for classified information by a Malaysian embassy official; a friend who worked for a member of the Agriculture Committee was told to watch out for Chinese spies who supposedly hung out at the Hawk ’n’ Dove, a Capitol Hill bar, to eavesdrop on staffers’ conversations. Staffers with security clearances are trained to spot this sort of thing, but those without clearance receive little in the way of security training. They have access to power and are prone to gossip. Many come in as interns, or fresh from a local campaign. A second former congressional staffer recalled repeatedly being asked on dates by an attractive woman from the Israeli embassy who had also been out with many of his friends. When they finally did go out, he couldn’t shake the feeling it might be “an old-fashioned honeypot scene,” he said, and declined her offer to come home with him. This is simply the way things work in a superpower’s capital city. There is the Washington most of its residents live in, and then there is the one underneath, where allies and enemies jockey for influence and information. You think you’re living in an episode of Veep, and you find out you’re living in an episode of The Americans. Still, Simonyi said, one should be careful what one gossips about with a Russian at a D.C. party, and what compliments one takes at face value. They are famous for their skill at cultivating the naive. “‘Ah, you’re such a charming young lady, why don’t you come to the celebration we’re having for the national day of Russia?’ Don’t ever accept an invitation from the Russian embassy unless you know what you’re doing,” he said. It can all begin to feel like a conspiracy. Living in D.C. or its suburbs, you may meet a neighbor at a block party who can’t tell you what she does for a living. A bunch of vans racing through local traffic may actually be engaged in surveillance training for the N.S.A. Washington journalists’ emails have allegedly been targeted by hackers in recent months. You start looking over your shoulder in this town, and before long you’ve gone down the path of the black-helicopter crowd. How deep does it go? What do they have on you? But it’s not paranoia, as the old joke goes, if they’re really out to get you. The current Russia revelations may have people on edge because they’ve exposed something that has been true for a long time: The best soft targets don’t know they’re soft targets. The staffers disregarded the warning and went back to their old habits, because the threat just didn’t seem real. But the episode looks very different now, after the release of hacked emails from Democratic committee staffers and Clinton campaign officials threw the 2016 campaign into chaos, even though they consisted mostly of political hacks’ silly office banter. That night at the French ambassador’s Christmas party, Trevor Potter struggled to come up with small talk after meeting Kislyak. 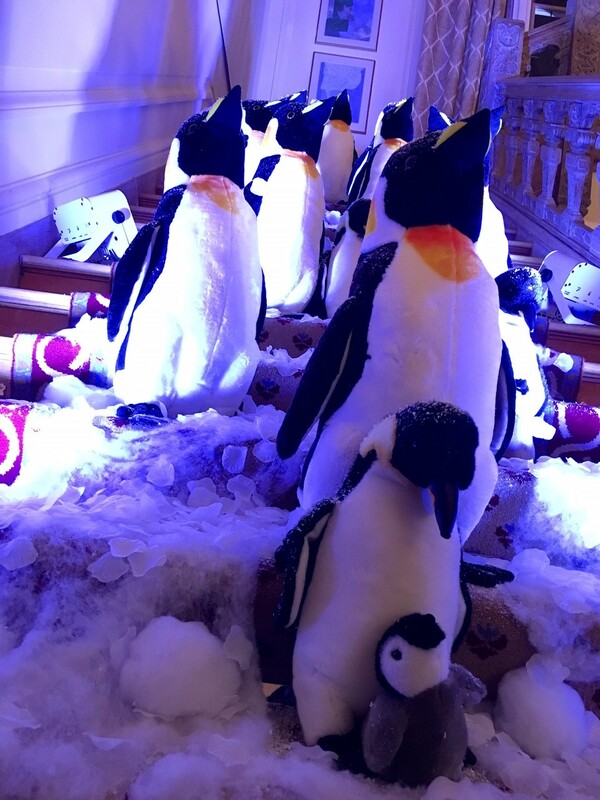 The palatial mansion was adorned with winter decorations, including a group of penguins on a staircase glittering with fake snow. Potter remarked that the display must remind Kislyak of the climate back home. Without a trace of humor, Kislyak sternly informed him that penguins live exclusively in the southern hemisphere; there are none in Russia. With the alleged Russian meddling that was much in the news, Potter didn’t want to bring up the election, but not because he was mindful of the potential intelligence implications. “It just would have been impolite,” he said.